[RAFFLE] Multiplex joins the party ! As you know all tickets are sold for a while. Today, Multiplex Modellsport joined the party to support the french national F3F team with a surprise and nice raffle prize that is simply added to the basket for the draw that will take place end of April during the FAI eurotour Pyrenees's cup near Toulouse. 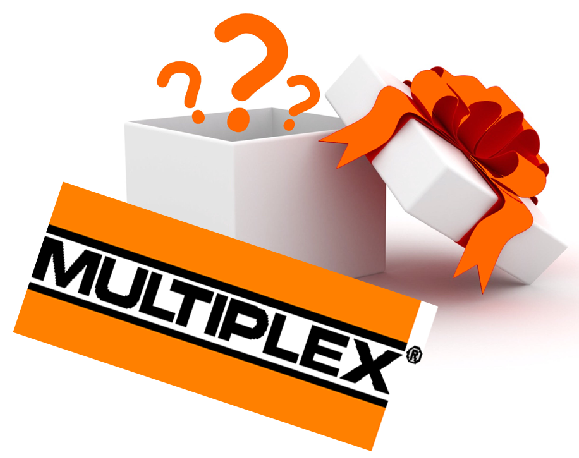 Many thanks to Multiplex for their support ! [RAFFLE] Tickets are sold out ! All the Tickets have been sold in 5 days. A huge thanks to all the people who bought 1,2 or even more tickets to support the french team. We will organise the draw during the Pyrenées's Cup FAI Open end of April ! [RAFFLE] only 21 tickets left ! After 2 days, 77% of the tickets has been already sold. So if you are hesitating, but would to try to win one of the 10 nice prizes with a chance of 1 over 9 , this is the moment ! With Baudismodel, Staufenbiel Modellbau, MKS Servo Tech, Silence Model, Fred Modélisme, zepsus, Funny Birds, Flash RC.